"As a child, I used to think home movies, compared to proper films, inept and boring. But I've been converted--many examples I've seen have been beautifully shot and historically invaluable. See for yourself at your local Home Movie Day event in October." "Home Movie Day is the perfect opportunity for people to connect with our past and to move the conversation about preserving our cultural heritage into the future." "Saving our film heritage should not be limited only to commercially produced films. Home movies do not just capture the important private moments of our family's lives, but they are historical and cultural documents as well. Consider Abraham Zapruder's 8mm film that recorded the assassination of President Kennedy or Nickolas Muray's famously vibrant color footage of Frida Kahlo and Diego Rivera shot with his 16mm camera. Imagine how different our view of history would be without these precious films. Home Movie Day is a celebration of these films and the people who shot them. I urge anyone with an interest in learning more about how to care for and preserve their own personal memories to join in the festivities being offered in their community..."
The Lost Dominion Screening Collective is happy to announce that Ottawa will participate in this year’s International Home Movie Day on Saturday October 19, 2013 at the Mayfair Theatre from 3:30 till 5:30pm. 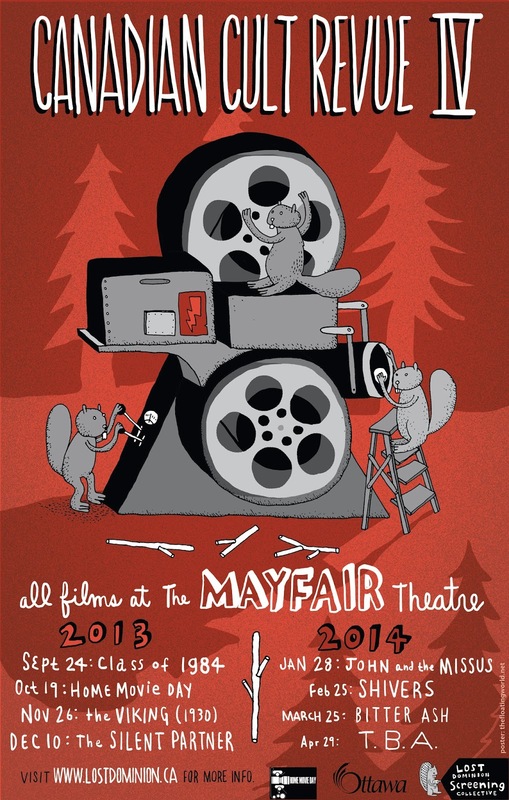 Home Movie Day is an annual event celebrating amateur film and filmmaking. The audience is invited to bring their own “home movies,” which will be shown on the big screen. The event provides an opportunity for attendees not only to view their own home movies in their original format (since many people don’t own their own projectors anymore), but also to learn more about our community and cultural narratives through the personal histories revealed within these shared films. 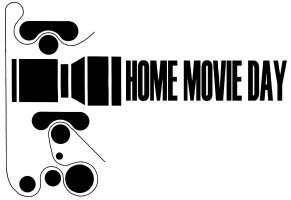 Home Movie Day was started in 2002 by a group of film archivists concerned about what would happen to all the home movies shot on film during the 20th century. They knew many people have boxes full of family memories that they’ve never seen for lack of a projector, or out of fear that the films were too fragile to be viewed. They also knew that many people were having their amateur films transferred to videotape or DVD, with the mistaken idea that their new digital copies would last forever and the “obsolete” films could be discarded. Original films (and the equipment required to view them) can long outlast any version on VHS tape, DVDs, or other digital media. Not only that, but contrary to the stereotype of the faded, scratched, and shaky home movie image, the original films are often carefully shot in beautiful, vibrant color—which may not be captured in a lower-resolution video transfer. 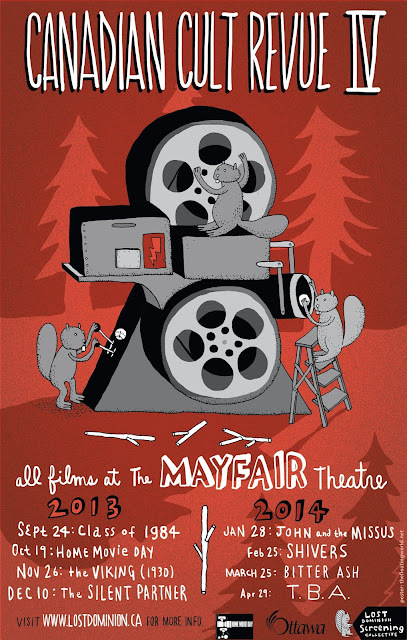 The Lost Dominion would like to thank the Mayfair Theatre for generously donating their space for this event. 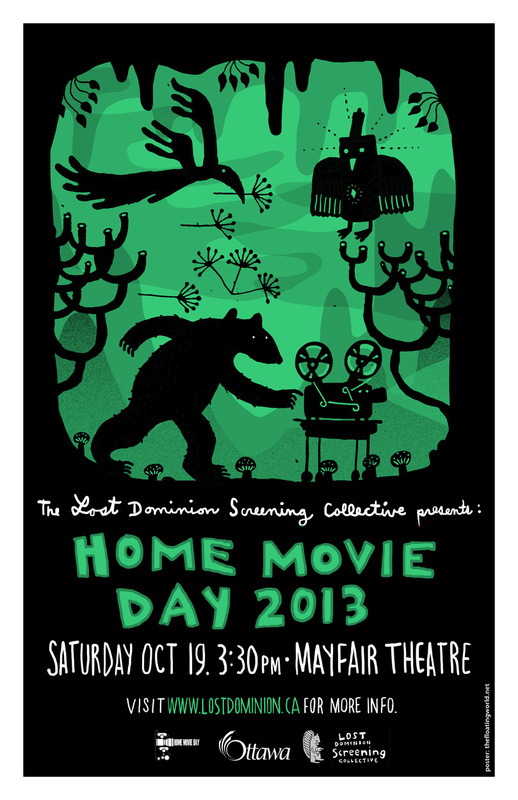 Please join us for Home Movie Day: Saturday, October 19, 2013 at the Mayfair Theatre from 3:30 till 5:30pm. We want to see your films! For more information about Ottawa’s Home Movie Day, please contact lostdominion For more info on International Home Movie Day, please visit www.homemovieday.com. Class of 1984 is something like a B-movie amalgam of Death Wish and Fame. Shot in Toronto by director Mark Lester (Commando, Firestarter), it stars Perry King (Search and Destroy) as a high-school music teacher in an escalating fight for survival with a gang of teenage thugs at his new school. Roger Ebert gave it three-and-a-half stars out of four, calling it "raw, offensive, vulgar, and violent, but it contains the sparks of talent and wit, and it is acted and directed by people who cared to make it special." It's definitely not for the squeamish, but if you can stomach the exploitation it has many highlights, including a great supporting performance by Roddy McDowall (Planet of the Apes) and cameos from Canadian acting icons Al Waxman and Michael J. Fox (in only his second big-screen appearance). Presented by the Canadian Cult Revue.